Note: The public meeting about the Rhondda Tunnel is now scheduled for 24 April. Details on the Events page. We campaign for improved facilities for cyclists in the Swansea Bay area. We help get people on bikes by, eg, by providing easy rides for near beginners or returning cyclists; we also provide information about rides and other matters of interest to cyclists and their supporters. We are an umbrella organisation, separate from Cycling UK, Sustrans and other cycling groups, but whose activities we seek to both support and complement. 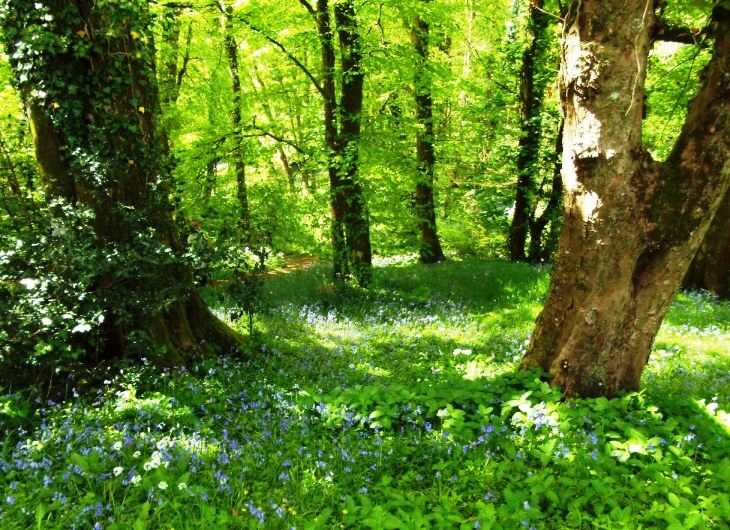 It's worth a tough cycle ride from Swansea to visit these gardens in Aberglasney. About us states our aims, provides, a potted history and how we can be contacted. Links gives some useful websites, provides links to local organisations and cycle shops. Events provides information about rides and meetings monthly in chronological order, followed by details of the providers. Beginners provides information of use to beginners. Cycling Festival provides details of the Gower Cycling Festival which is organised by Wheelrights. Rides and Commutes provides descriptions of rides mostly in the Swansea area but also further afield. It also provides advice for new commuters, naming "mentors" and describing commuter routes in Swansea. Campaigns describes our campaigning activities. Infrastructure covers what is happening, what is planned and our aspirations. Newsletters/Notes provides links to our quarterly newsletters and to the notes of our meetings. Various is for odds and ends including fault reporting. Join us. This explains how to join Wheelrights: either by filling out a form and sending a cheque for your annual sub. or doing this electronically. If you have comments on this website please pass them to me, David Naylor, Phone: 01792 233755, or by email. Page updated on 16 March 2019.